Information National Coaches week is a way to celebrate coaches! Stay tuned for professional development opportunities and ways to celebrate coaches for September 2019! 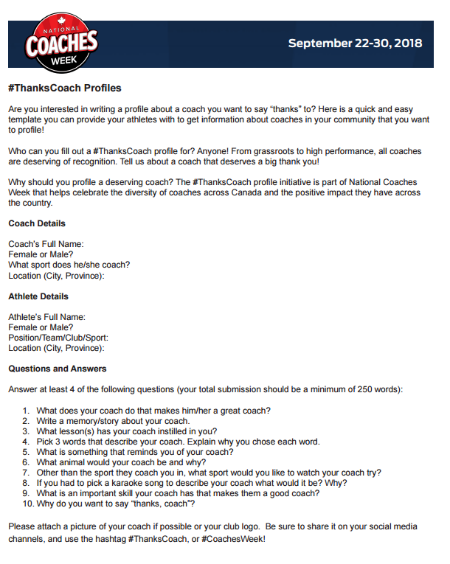 Part of National Coaches Week is the opportunity to say #ThanksCoach - by recognizing a coach who has impacted your life! Here is a great template to use! Send it along to msullivan@sportnovascotia.ca to add to the database for next year!